Eurodollar is still being corrected. 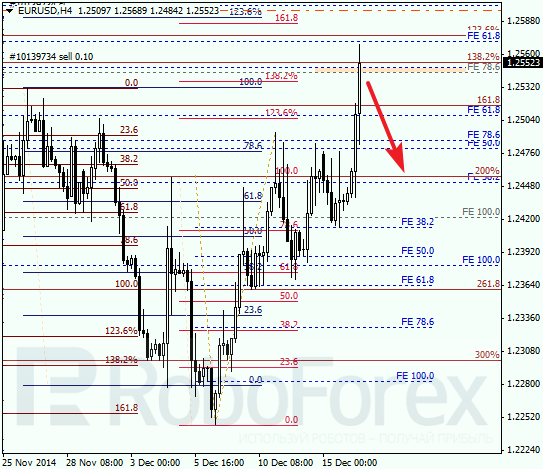 By now, the price has reached the group of local retracement; if it rebounds from them, the market will resume falling. However, if an ascending correction continues, one should forget about selling for some time. 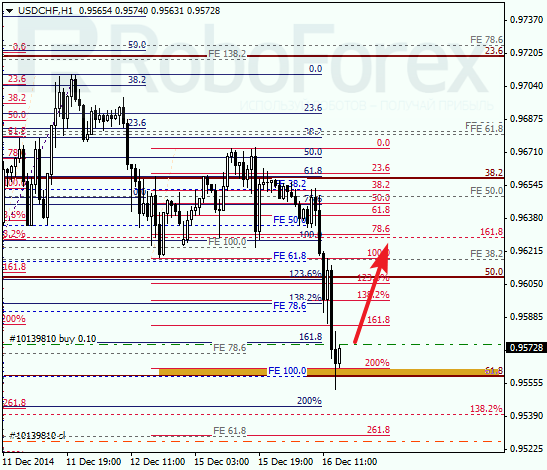 At the H1 chart, the predicted target area of the current correction is confirmed by several local retracements. If the price rebounds from them, I’ll move my stop loss to the level where the order was opened to decrease the risks. Franc is also still being corrected. 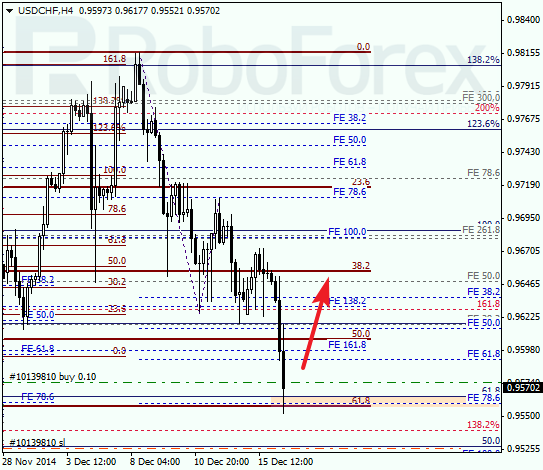 Considering that the price rebounded from two retracements 61.8% at a time, I’ve decided to open a buy order. If an ascending tendency is confirmed, I’ll increase my long position. 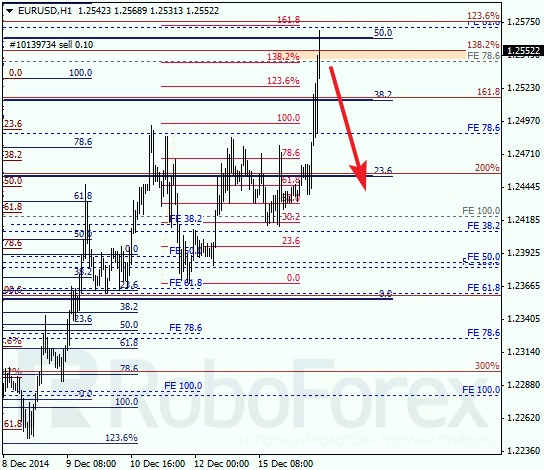 As we can see at the H1 chart, the predicted target area is confirmed. If the price continues moving upwards, I’ll move my stop loss to the level where the order was opened to decrease the risks.